For those needing at least a taste of the practicality of a crossover with neither the budget nor the parking area for a mid- or full-size version, Mitsubishi’s 2014 Outlander Sport might be just the ticket. This 5-passenger mini-ute packs the underpinnings of its Outlander cousins, but cuts overall length by some 14 inches to a space-saving total of 169.1 inches (14 feet, 1.1 inches). Alas, this shrinkage does result in a mere 49.5 cubic feet of cargo hauling capability with the rear seats folded and leaves room for no third row of seating. Mitsubishi’s undersized mini-ute does, however, boast a number of changes for this year, while retaining its spiffy moves, not to mention its class-leading fuel efficiency. Alas, the returning 4-cylinder powerplant is not going to impress those looking for neck-snapping acceleration. Among the tweaks for 2014 is the deletion of the high-end LE trim, leaving this latest edition of the Outlander Sport with two trims, the base ES and the now-top-shelf SE. Front-wheel drive (FWD) remains standard in each trim, with full-time all-wheel drive (AWD) that retains the driver-selectable 3-mode system optimizing traction capabilities again available as an option for both trims. The standard 148-hp 2.0-liter inline 4-cylinder (I4) engine is also back to, ahem, power the Outback Sport lineup, with the base ES boasting a standard 5-speed manual transmission and the SE toting a continuously variable transmission (CVT) that’s optional in the ES. Torque is maxed out at a meager 145 lb-ft, thus any sort of towing hopes are pretty much dashed. Don’t despair, though, as mileage with this efficient if not exactly potent powertrain is estimated at 24 mpg city/30 highway with the stick-shift-equipped ES, 24/31 with the FWD CVT-packing SE, and 24/29 with the CVT and AWD both on board. 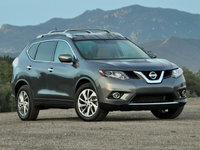 The only transmission available to the optional AWD system, meantime, remains the CVT. Cabin appointments in the value-oriented Outlander Sport are not quite plush, but should meet most ordinary consumer expectations. The entry-level ES, for example, boasts 18-inch alloy wheels, heated power-adjustable mirrors and a rear spoiler outside, with cloth upholstery, full power accessories, leather and simulated alloy cabin accents, and air conditioning gracing the interior. Cruise control and telescoping tilt-wheel steering of course return for this year, as does a 140-watt audio system flaunting a single-CD player, 4 speakers and a USB port. Oh, and Bluetooth hands-free calling also remains standard in this base trim. Stepping up a level, look for all of the above to adorn the 2014 Outlander Sport SE, as well as premium cloth upholstery, heated front seats, a new-for-2014 rear-view camera and auto climate control. Options for both trims include an available Navigation Package with HDD navigation and real-time traffic, as well as the LED Illumination Package with an upsized rear spoiler and LED cabin illumination. New for this year, meantime, the now-flagship SE can be delivered with a Touring Package that includes HD radio, a 7-inch touchscreen display and a rear-view camera with black leather upholstery. Additionally, a power sunroof, a 9-speaker, 710-watt Rockford Fosgate stereo system with 6-CD changer, and an auto-dimming rear-view mirror can be ordered up in the Premium Package. 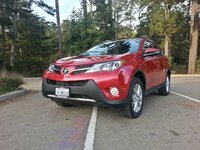 Remote engine start, LED daytime running lights and exterior trim upgrades are also available to this little crossover, depending on the trim chosen. Finally, standard safety equipment aboard each Outlander Sport edition includes 4-wheel antilock brakes, traction and stability control, front side-mounted airbags, front and rear head airbags, and front head restraint whiplash protection. Further safety stuff for each trim includes a remote antitheft alarm, while both also remain eligible for available rear parking sensors. The SE, meanwhile, sports standard dusk-sensing high-intensity-discharge (HID) headlights and front fog/driving lights. 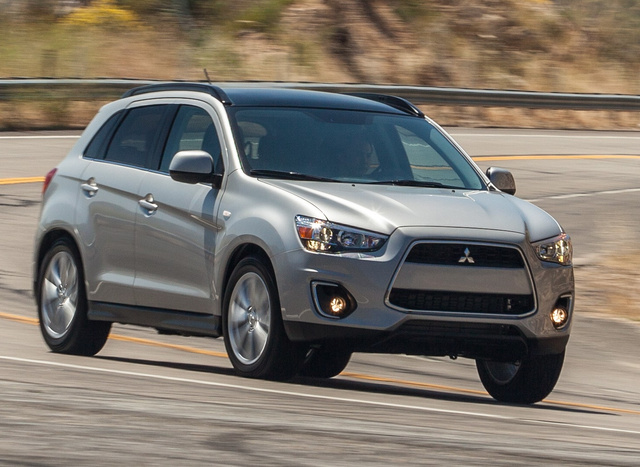 What's your take on the 2014 Mitsubishi Outlander Sport? Users ranked 2014 Mitsubishi Outlander Sport against other cars which they drove/owned. Each ranking was based on 9 categories. Here is the summary of top rankings. 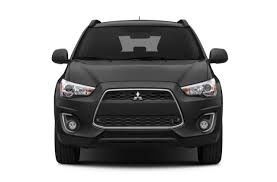 Have you driven a 2014 Mitsubishi Outlander Sport?